Happy Friday! My mom got back home a few nights ago after a long eight weeks away and I went over to hang out with her the other night. Of course we stayed up way too late talking and catching up on all the day-to-day stuff you miss when you’re apart. That whole “absence makes the heart grow fonder” thing is real. We even got to have breakfast together in the morning…and is there anything better than a hot breakfast made with love by your mom? Seriously, I felt like I was a kid again (and I kinda loved it). I’m sure my brother and sister are reading this now and getting jealous. We got talking about all things Christmas. What we were going to do, the parties and dinners coming up, the presents we still needed to find – and of course we got talking about food. In our family, food around the holidays is all about tradition. We’ll try new things every once in a while, but there are some things that we are guaranteed to be making every year. All this talk got me really excited for my family come home soon. It’s only a few more weeks until we’ll all be back together again. The decorations, twinkle lights, yummy food and gifts are all lovely – but it’s being with family that I look forward to most of all. Six months ago today we adopted Cola on the #honeymoonroadtrip. He is the goofiest, cuddliest, most curious little thing – and we wouldn’t have it any other way. 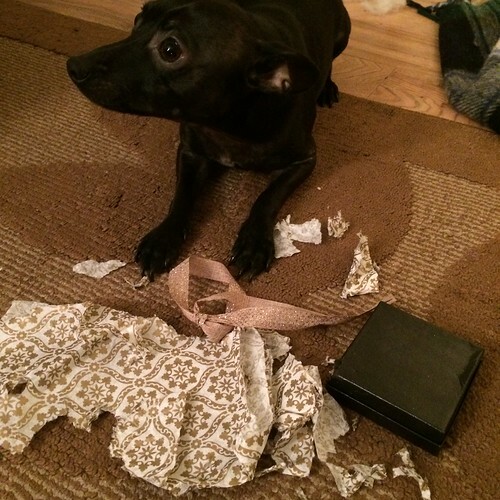 Six Months with Cola the Pup: I still can’t believe that Monday marked six months since we adopted Cola on our honeymoon road trip. In some ways it feels like he’s always been a part of our little family. We just love him to bits and he’s been such a good little buddy for Whiskey. 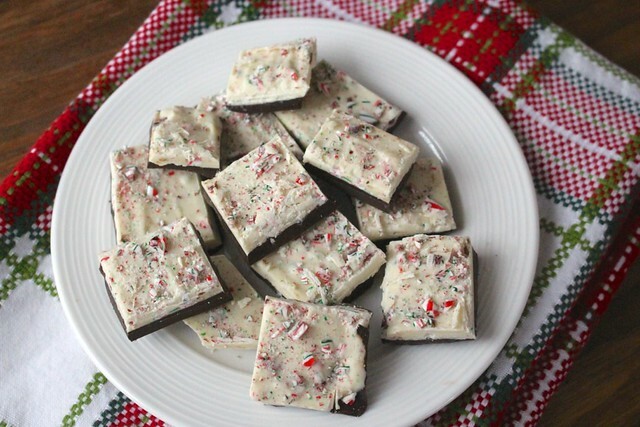 Family Traditions: I got into the holiday baking again this week, making a small batch of my family’s favourite Peppermint Bark. We make it every year, even if it’s a last minute endeavor on the morning of Christmas Eve. I recently updated the recipe with new photos and if you’ve never made this delicious treat before, you need to head on over there. It is soooo good, and incredibly addicting. Psst: For more ideas for festive treats and dishes, check out the Holiday Recipes section of the Holiday Guide. 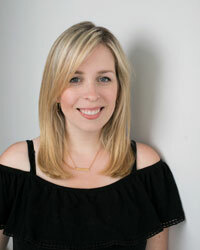 There are fun sweets for cookie swaps, appetizers for holiday parties, recipes for your big family feasts and a few ideas for Christmas morning brunch as well! Small Business Saturday: I’ll admit that I’ve done quite a bit of my shopping online this year, mainly because I like to avoid the mall crowds as much as I can, but this week I tried to make more of an effort to get out to some of the local shops and businesses. 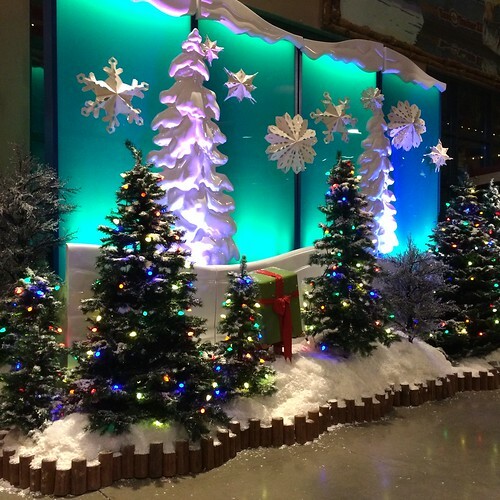 Sometimes I forget how nice it is to get out and see things in the stores – especially when they’re all done up for the holidays! I also spotted this swag with some dried orange slices like the ones I used for ornaments! 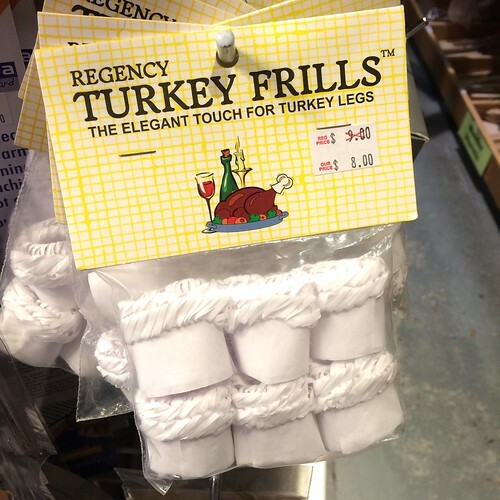 Didn’t Know These Were Real: I stumbled across these turkey frills at a kitchen shop and I had to do a double take. I had no idea that these were a real thing that people bought. I just thought it was in cartoons! Have you ever seen anyone use these? 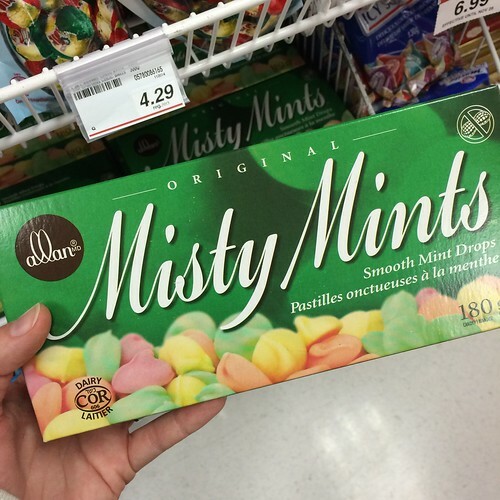 The Power of Scent Memory: I also spotted a box of Misty Mints, which always make me think of my Great Grandma. When we’d go visit her at the nursing home, she’d have a box of these waiting for us. When I saw them in the shop, it made me think of exactly what she looked like, her smile, the smell of her perfume and the soft skin on the back of her hands. She passed away 20 years ago and all that came back in an instant the second that I got a whiff of these creamy mints. Scent memory is crazy, huh? 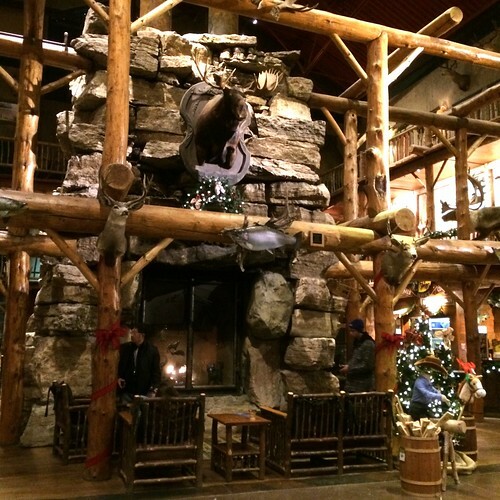 A Bass Pro Christmas: I may not like shopping, but there is one store that I always like to check out when we’re in the area – Bass Pro. 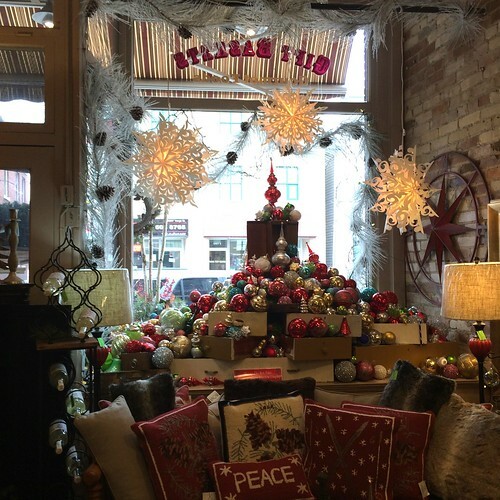 From the rustic interior to the crazy things you can buy there, I always find it interesting. 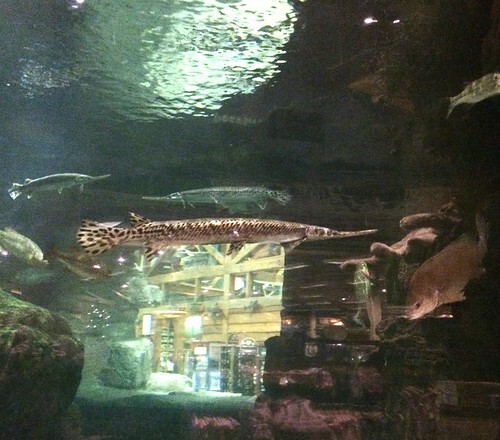 Garrett and I spent some time trying to identify the indigenous fish in the big tanks. Can you guess what this long nosed one is? I’ve never been there before when they’ve had it all done up for Christmas. They really go all out! 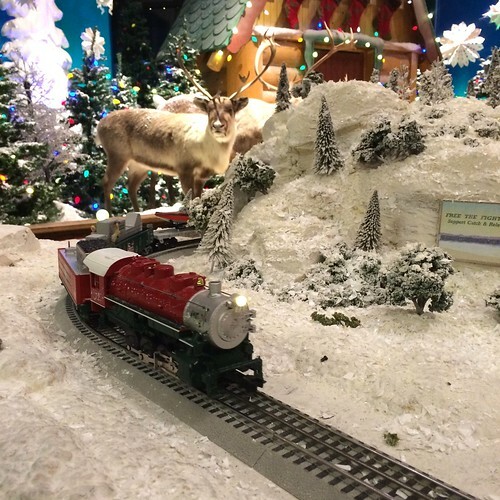 I went to snap this picture of the train display and inadvertently caught Santa in the background chatting up an elf. I hope Mrs. Claus doesn’t find out. 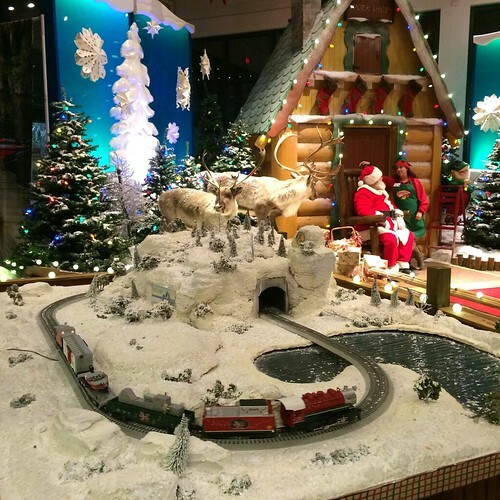 My little brother would have been all over this train set when we were little kids. I bet he still would be now if I brought him, ha! Timber! 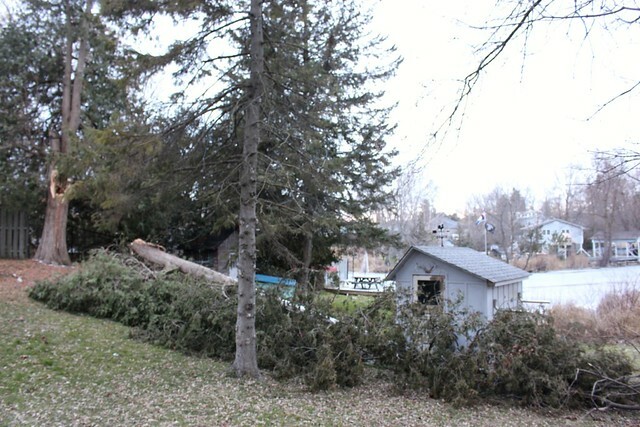 : There was a big storm last week, which took down part of a really old cedar tree at my parents’ house. 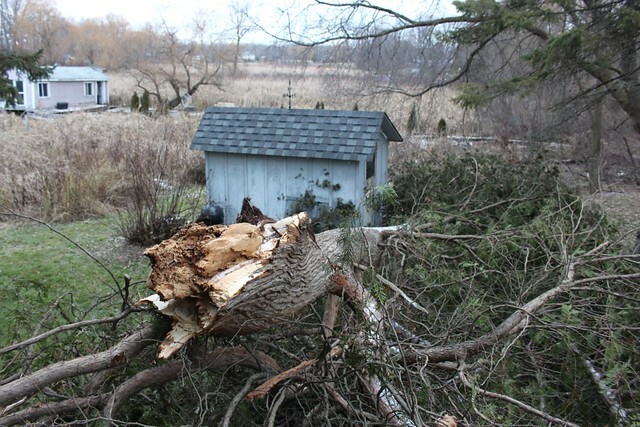 Thankfully it completely missed the sheds, fence and any other trees. About half of the tree is still upright, but the piece that fell is huge. My dad hasn’t figured out what to do with it yet, but there may be the chance to salvage some wood if it isn’t rotten. Maybe some nice cedar planks? While I was out snapping some photos yesterday morning, I took a look at the river. The ice isn’t thick enough yet, but it won’t be long until we can go skating! 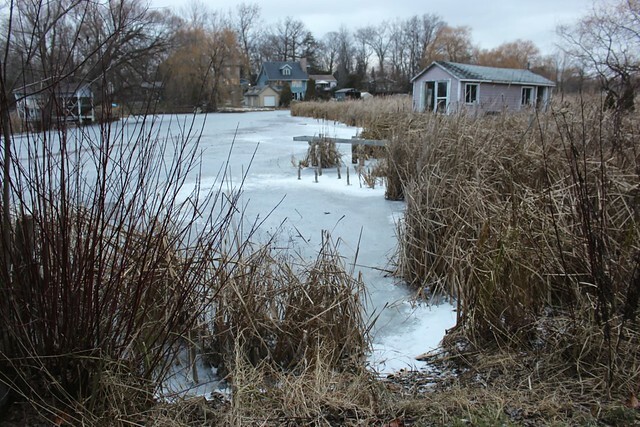 When I was growing up, we always shoveled off some of the river to make an ice rink. We even had a few skating parties out there, with big pots of hot chocolate and a bonfire to keep us warm. Those were some really good childhood memories (and I guess I conveniently forget all the labour of shoveling snow of the ice and trying to climb back up the hill with your skates on). 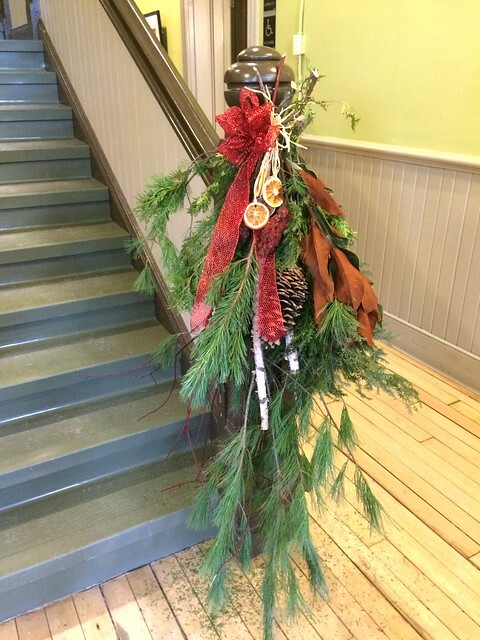 Do you have any festive plans for the weekend? 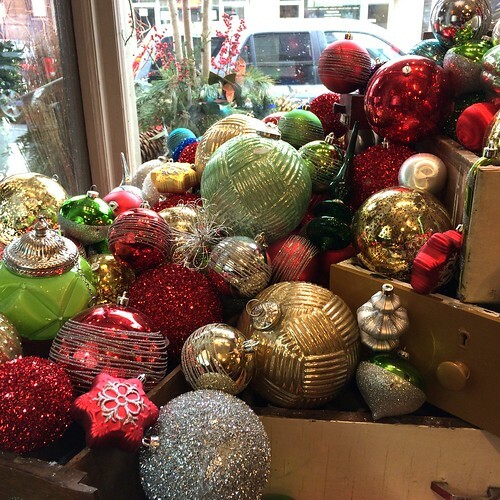 Do you still have some shopping to do or any fun parties coming up?